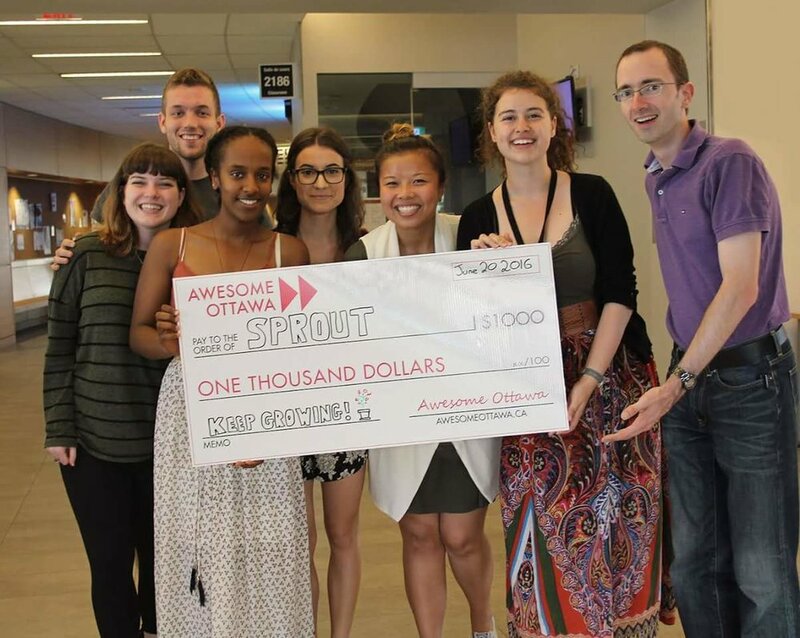 After working for Sprout full time over the summer, we believe that we have a viable business that can be used to positively impact the lives of thousands of people living in urban food deserts across Ottawa. We hope to expand to more stores as our business continues to grow, so that we can bring healthy food to more and more individuals living in food deserts. We also hope to continue branching out into social employment and hiring more individuals who would not otherwise be able to find work. We believe we are doing something really important with Sprout and want to continue to serve the community for years to come. Branding - How to Make Sprout Stand Out? One of the comments we most often hear about Sprout is that our branding is fantastic. We did indeed start out with a great logo and have built our other marketing tools, such as our website, around that original branding. We have tried to give Sprout a distinctly "homey" feel and a trustworthy and likeable look that will appeal to a wide range of customers. A Facebook page cover photo that we designed. Since working on Sprout full-time this summer, we have been able to hire a graphic designer who helped us take our marketing materials and branding to new heights. We revamped our labels and all our store signage to further improve Sprout's shelf appeal. Above is a comparison of our old labels, which did not feature a picture of the recipe, and our new labels, which do. We also expanded our use of social media, which we used to just use for recipe photos and photos of our team going out in the community. Now we also post facts and recently run a contest where we had green kitchen utensils as the prize. By improving Sprout's branding, we learned how to effectively improve our business' marketing efforts. 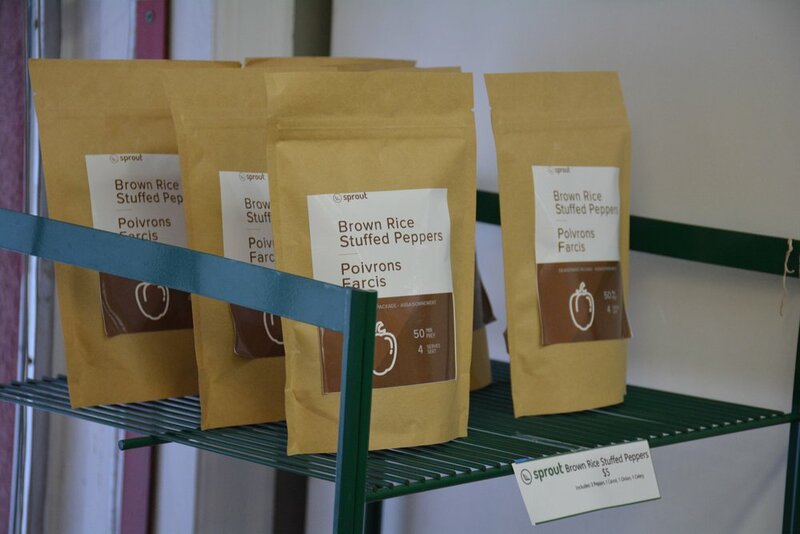 Additionally, we found ways to make Sprout products stand out on the shelves, like adding photos to the labels, and have heard positive feedback about the new look. At Sprout, we create and package all the Meal Kits ourselves in a certified kitchen. We create the recipes, which spells out how much of each ingredient the customer needs to add at home, but also means that we have to work out exactly how much of each spice or ingredient to put in our Meal Kits, which are full of dry ingredients. This summer, we discovered how to achieve greater efficiencies with our packaging, as well as how to package the Meal Kits in a more effective manner. We had previously been using a fee-for-service kitchen that had an unpredictable schedule, but have since found a way to work with the community to find space that we can use at a much more discounted rate. This involves working with local organizations who have kindly donated their certified kitchen space to allow us to package our Kits. This also allows us to learn from other businesses that are aiming to address urban food insecurity in Ottawa. We also improved our Meal Kits themselves by packaging the dry ingredients in separate pouches within the Meal Kit packaging so as to better allow the customer to add spices and ingredients at specific times during cooking. We have gotten our packaging process down pat, so much so that we have been able to hire an employee from an organization that works to find jobs for individuals with disabilities. He will be joining us in the Fall to help us package our Meal Kits! Improving the Meal Kit packaging process has been a great lesson in organization and quality control. We have instituted batch numbers so that we can track how much of each product we are making and when, which will allow us to make more informed decisions regarding our packaging process. A major lesson we learned this summer was to keep store owner satisfaction at the forefront. We had had issues in the past with store owner communication, but this summer were able to roll out a feedback program that suited the needs of the business much better. We learned how to effectively communicate with our store owners and listen to their needs so that we could tailor our offering to them. Though we do sell products to the general public, Sprout is also a B2B business in that we are selling our program to corner store owners and thus need to recognize and meet their needs. We implemented a weekly store visit to our two locations, where we could talk to the owners face-to-face and address concerns or questions as they arose. This was also a great time to get feedback on how they thought the program was going and how they thought we could improve. We learned about identifying who our customers are and how to meet their needs. 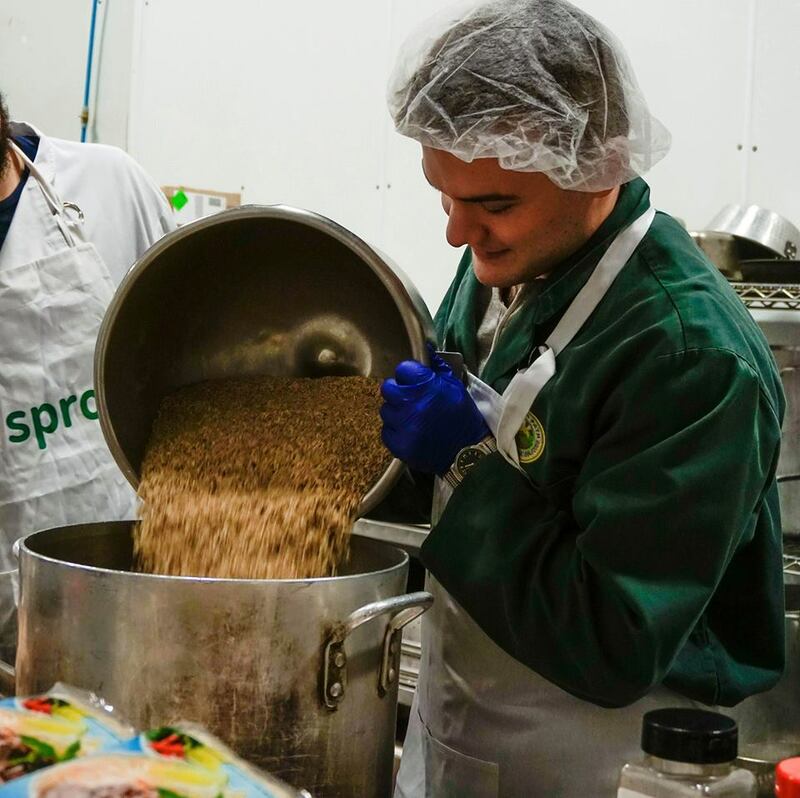 We also better understood how to manage all the working parts of a business and believe we are well-positioned to continue to expand Sprout to more stores in the future! 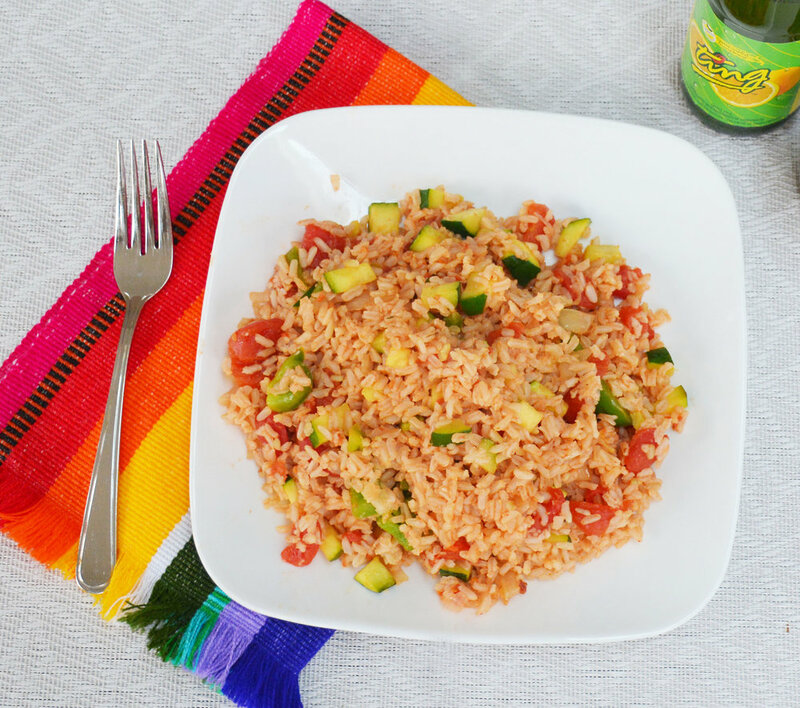 This summer, we launched two new recipes: Fiesta Rice and Rustic Pasta. On the advice of one of our store owners, we chose to create recipes that could be made on the stove top, as opposed to ones that needed to be baked in the oven and as a result took longer. We create all the recipes ourselves and the nutrition facts to go along with them. We follow a set recipe testing process that we developed, which includes many taste-testings (much to the delight of our summer employees) and reviews. After the recipe is approved, we create the nutrition facts, packaging labels, recipe cards and in-store merchandising to go along with the recipe. To prepare for the Fall season, we launched Rustic Pasta, with its orange packaging that fit with the coming turning of the seasons. Since both our stores are in student neighbourhoods, our next recipe will be catered towards the student population. Developing recipes was a great lesson in listening to customers and adapting our product to their needs. We took in feedback from customers, as well as our store owners, to develop a lineup of recipes that we believe really fit our customers' needs. One of Sprout's greatest accomplishments this summer was expanding to another community by launching a new store. We tackled a food desert steps away from our offices: Sandy Hill. With a population of around 10,000 and a demographic mix of university students and families, we thought it was the perfect place to expand Sprout. Safi Fine Foods was a unique case for Sprout, since they already sold produce in their store. 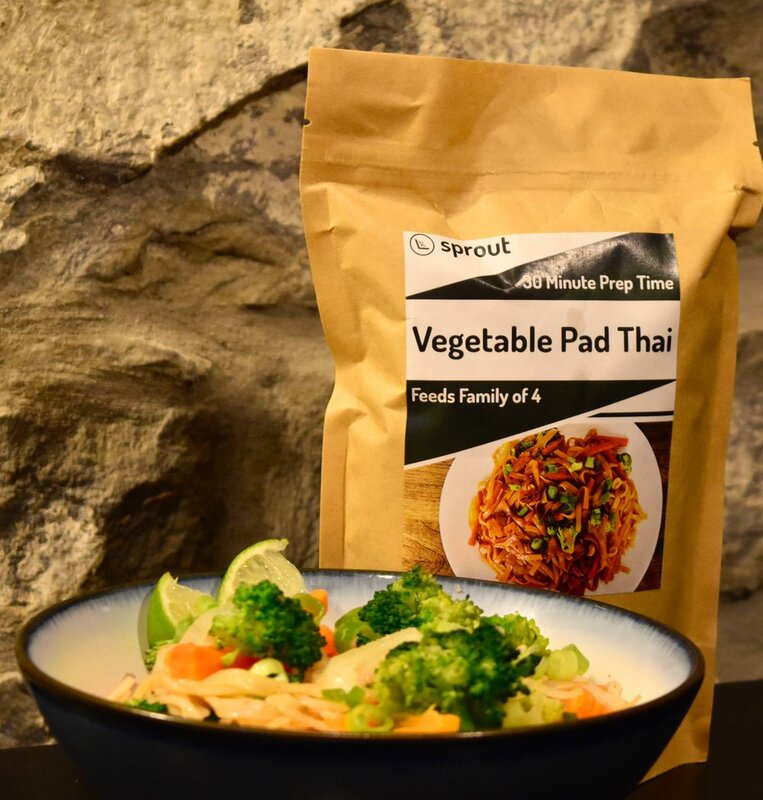 Instead of Sprout bringing in produce as we do at our other location, we sell only the Meal Kits to complement their existing selection of produce. The Safi location is doing extremely well, selling consistently even in the slower summer months. We are hoping that sales will increase further with the arrival of university students once the term starts and have prepared several campaigns targeted at students, as well as a new recipe that will be launching at the start of the term. The store owner at Safi has also been very helpful. They are always willing to give us advice on how to improve our business and have given several useful suggestion already. On the Safi store owner's suggestion, we focused our recipes on meals that could be made on the stove top as opposed to in the oven, and we also implemented varying prices on the Meal Kits, where before we had identical pricing across the Meal Kits. 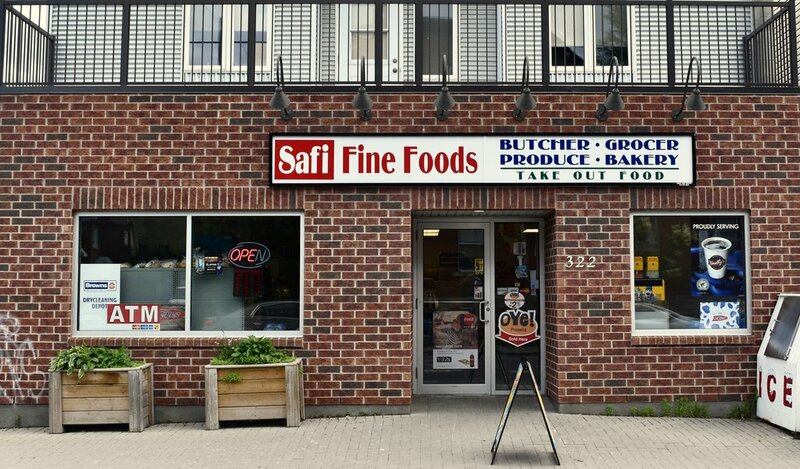 We are optimistic about the Safi Fine Foods location and hope that it will continue to generate sales and success for Sprout!